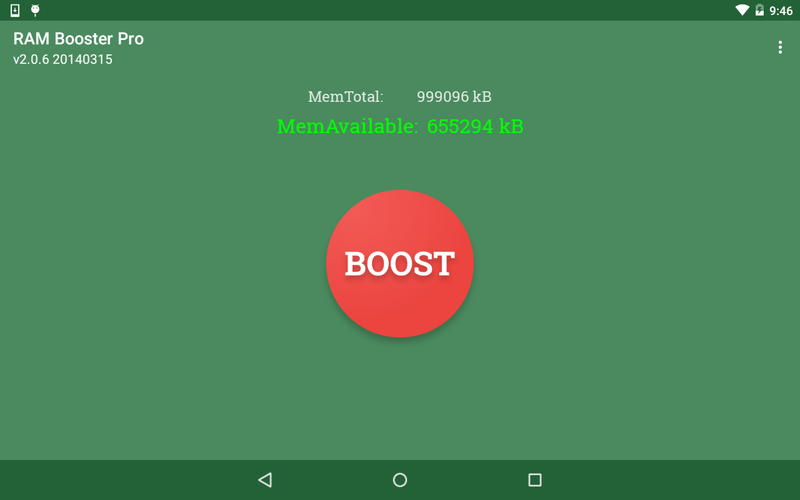 RAM Booster Pro is a free handy utility that can increase the performance of your Android device by increasing the about of free memory or RAM available. 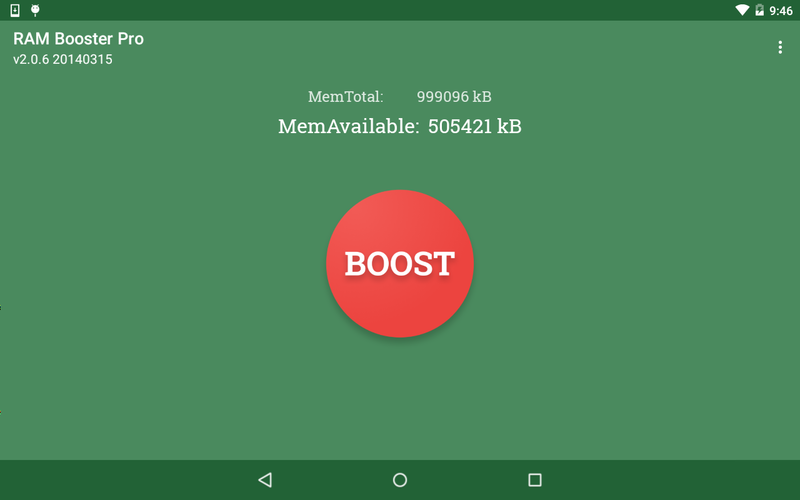 Unlike other advanced memory manager apps, it is quick and easy to use. 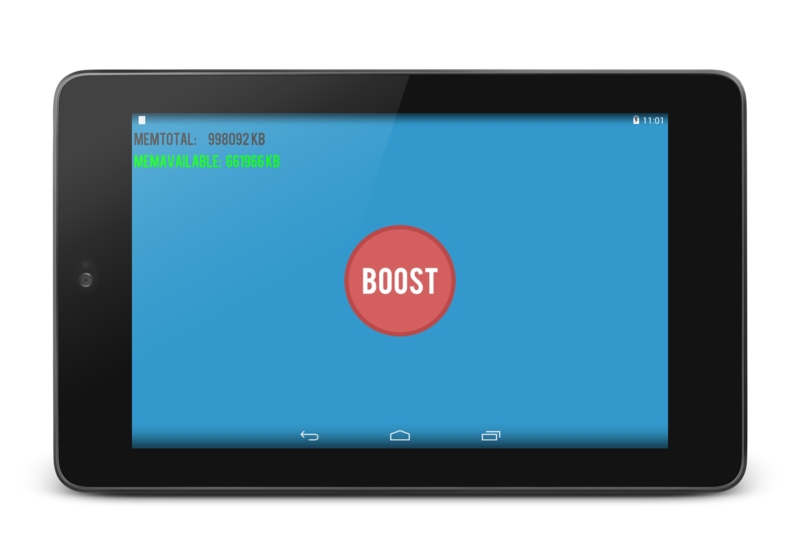 Simply open the app and tap on the large boost button to free up memory on your device. 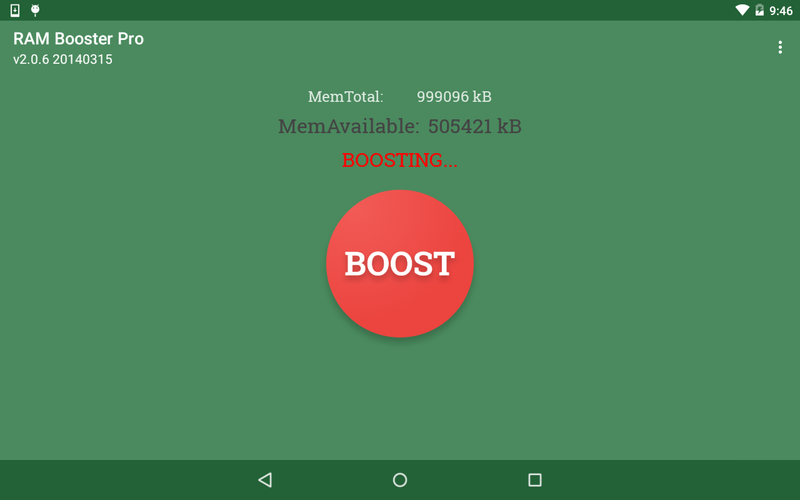 In some cases it can even clear up 50% or more of the available RAM on your device!